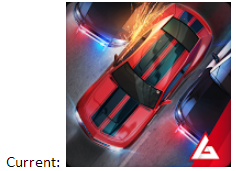 Vivid Games was launching a new action racing game called Highway Getaway for both Google Play and the Apple App Store. yellowHEAD’s goal as the ASO experts was to set up optimized store listings for both platforms, including both texts and graphics, that would immediately maximize post-launch store visibility. As with all partners, the initial stage employed a rigorous multi-step process that starts with in-depth industry research. Given the high competitiveness of the racing game category, we took a close look at what many competitors were doing from an ASO perspective from graphics to keyword targeting. yellowHEAD’s ASO team identified the best keyword opportunities for Highway Getaway. Because the app was a new player in the market, long-tailed high-traffic keywords was the way to go as other big brands like “Need for Speed” were not going after these. 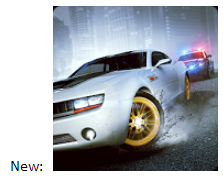 After integrating these keywords into the game’s metadata, we were able to achieve #1 rankings for high traffic keywords like “high speed chase” and “police pursuit”. On the graphics front, yellowHEAD’s experts worked closely with Vivid Games’ designers to create icons, screenshots, and feature graphics to optimize conversion. We provided our knowledge from an ASO perspective on best practices, while leveraging Vivid Games’ product understanding and in-house design team. Keeping a constant A/B testing pipeline allowed to ensure that applied creatives will drive better conversion. The first asset tested was the icon. The A/B test results an incredibly high, statistically significant 90% confidence interval of a 76% to 82% improvement in conversion. Another major step of yellowHEAD’s ASO process is localization. Often overlooked by developers, localization is critical in maximizing traffic from non-English users. The key is to not just translate, but rather do keyword research in each market to make sure we target relevant and high-traffic keywords in each respective market. After doing keyword research across 25 different markets and writing the metadata for each, we were able to rank in the top 5 for major non-English keywords like “jeu de course” (racing game in French) and “macchine da corsa” (racing cars in Italian). Close cooperation with Vivid Games’ design team, utilizing their product knowledge and yellowHEAD’s years of expertise and deep understanding of app stores, allowed to triple organic downloads and significantly increase revenue with ASO.